Our product range includes a wide range of gingerol oleoresin, rosemary extract, lutein ester oleoresin, lutein ester powder and astaxanthin powder. We hold expertise in offering fresh Gingerol Oleoresin. Our offered oleoresin is processed by percolating the powdered rhizomes of ginger and cutting edge technology by our adept professionals. To ensure no harmful chemical, this oleoresin is tested against different quality parameters by our quality examiners. Apart from this, provided oleoresin is available in variegated packaging options at budget-friendly prices. 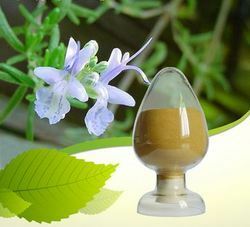 Our firm is recognized as the leading organization to offer a quality assured range of Rosemary Extracts. These products are made with the top quality of ingredients and chemical compounds that is obtained from industry trustworthy merchants. This product is highly demanded in market due to its high quality and quick effects. 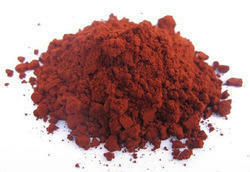 We are an unparalleled name in offering a delicious, pure and crunchy Astaxanthin Powder to our clients. Our offered powder is extracted from haematococcus pluvialis and using modern technology in adherence with industry norms. Moreover, a qualified team of food experts check this powder on various quality parameters so as to ensure its purity. Our prestigious clients can avail this powder from us at budget-friendly prices.